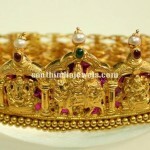 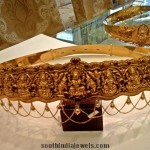 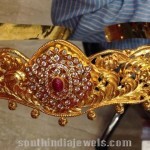 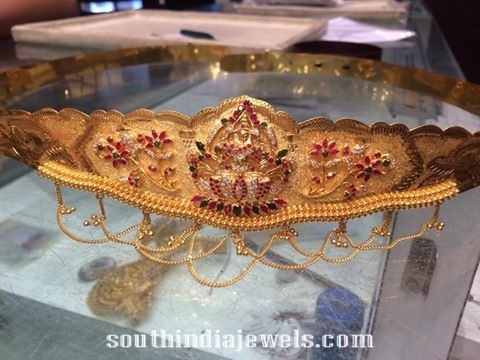 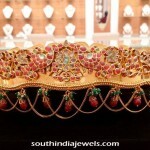 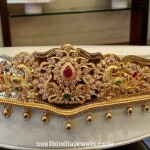 111 grams gold ottiyanam (waist belt) from premraj shantilal jewellers. 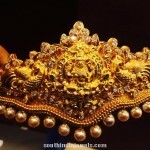 The ottiyanam has a elegant lakshmi goddess image embossed in the center and studded with rubies, emeralds and white stones. 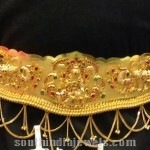 Gold chain is dangled at the end for embellishment. 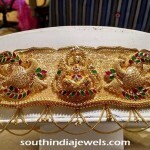 For price inquiry contact 919700009000, 9951000005.